Found this document, and have never heard of this? Did it go by another name? One of many that used to be around Eastwood in the 1800's Mick, don't have much information on it, but I have this photo at HERE. There is a Digby street in Kimberley, just up from Ikea. I have a reference to it somewhere in a book, I think it was Alf Henshaw's GNR in the east midlands. The pit yard was the area now used by the road from the A610 roundabout to the Ikea island. It was rail connected by an incline up to the end of Awsworth viaduct, known locally as 40 bridges. I can't get at the book at the moment but think it closed in the 40's? 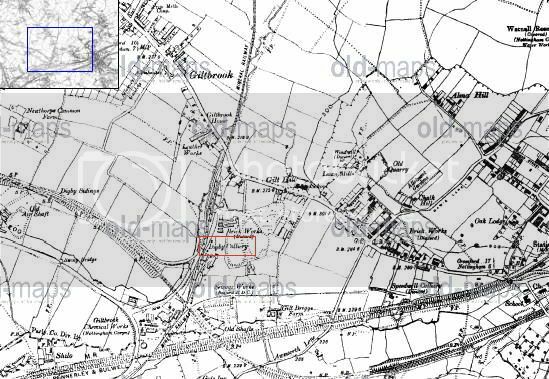 I believe the large house(s) at the bottom of Gilthill were connected with Digby pit. Eastwood had many collieries dating back to the early 1800's through into the 1900's. Sadly there's very little information on them left. This page on mines rescue might be of interest as it deals with the Eastwood Collieries, mostly owned by Barber Walker.....Eastwood Collieries. There is also a barber street and a walker street in eastwood. I see Chewton Street is mentioned in that article, seems the place built on coal and reminded me of something maybe 30 years ago, back then houses in likes of kimberley eastwood etc priced way below anything in Nottm itself and often used to visit the estate agents on main rd at kimberley then go on to view, in those days you could unaccompanied, recall one I got into at the lane awsworth about £ 8,000, but I digress, the one to do with pits was somewhere off dovecote lane, a detached bungalow with a garden that looked like the somme! everywhere you looked there were trenches and holes with exposed coal seams, seemed some old pitman had lived there and in his later years had kept his fires going without buying any coal for years! 2.6 miles away there is also a Digby St, Ilkeston. This is just the other side of Awsworth from the Giltbrook Digby st.. Interests:Railways & other transport, Coal Mining, & anything else that catches my interest. Speedwell Colliery closed sunk 1870 1888. The company then built Gedling Colliery between 1900 & 1902, The company was taken over by B A Collieries Ltd in 1937. B A Collieries also owned Babbington/Cinderhill Collieries sunk 1843, and Bestwood Colliery sunk 1873/1876 and were building Calverton Colliery when the industry was nationalised. They also owned Bulwell Colliery sunk 1869 and closed in 1945. Thanks for that Phil, our Ian lives just up the road off Chewton St now. As regards the bridge you mentioned I recall one day when needing to get to Ilkeston whilst working on a small district heating scheme off there around 1980 being told by an old local resident I could get there "direct" instead of going back to Awsworth etc via old A610 by going down that street and then left etc, Of course I couldn't, the old boy probably didn't know the bypass was there! Incidentally noticed that "left" bit at end of Chewton St is called Main Rd, because of that plus the old houses on it assume some old village there that was separate from Eastwood in times past? Ashley, the area at the bottom of Chewton street is known as New Eastwood, the shop on main street used to be New Eastwood post office, but I think it is just a small grocery shop now. It is marked as New Eastwood on the o.s. maps. Eastwood seems to be an area of small villages or towns, that have gradually joined together due to expansion, with no real definition of where 1 starts and the other finishes. Thanks for that Ray, when my son went to buy the house he was told it was in "New Eastwood"
I'm commenting in connection with 'BullwellBrian's' mention of the same. 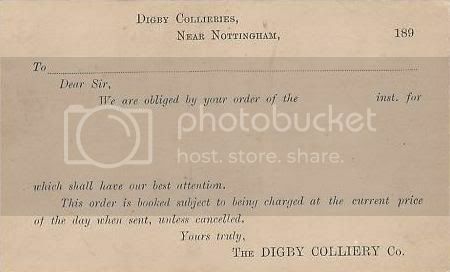 Does anyone know why the colliery has the name of Digby? Was it the owner, investor, located near a place of the same name? I know of a village in Lincolnshire called Digby. Iit's south of Lincoln. so a long way from the colliery. Could be named in deference to Digby Lord Middleton of Wollaton Hall who sold property to the founder of the mine , Thomas Bayley ? "Lenton Abbey House was formerly the property of Lord Middleton but was sold c 1860 to a Mr Thomas Bayley along with a portion of Lord Middleton's Beeston estate. Bayley was born in 1813 and was a leather manufacturer at Lenton, Giltbrook and Newark. He was also a founder of Digby Colliery. On his death in 1874 he left it to his daughter"
The Digby Colliery Company owned and started this pit..and others. Just worked out wot sounded wrong with this. It's Digby Pit. Not Digby Colliery. DAVIDW's explanation sounds a 'good bet', as Digby can be used as a forename as well as a surname. PIANOMAN's comment is questionable. I have discovered from research that the red coal wagons from the 'pit' had the name 'Digby Colliery' painted on them. I've just bought one! I wasn't actually meaning what the pits name REALLY was. It was always known, to me at least, as Digby Pit. The company owned three Collieries, Giltbrook, Gedling and New London at Eastwood.